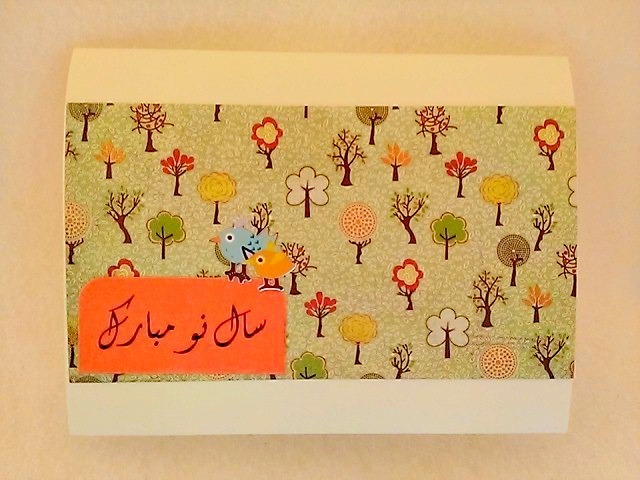 Nowrūz is March 21, 2015 and this card with a cute bird couple is the perfect way to greet it. 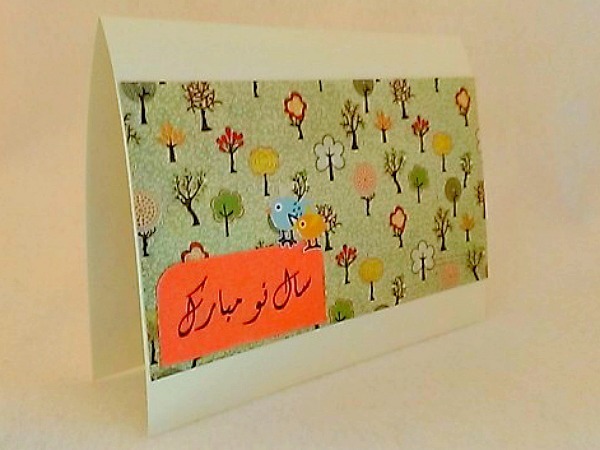 It also features Nowruz Mabrook on vellum attached to orange cardstock that has been placed over a forest of decorated trees. 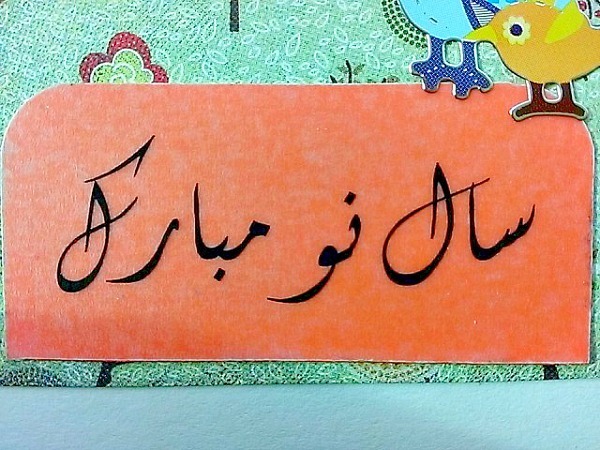 As an essential object of the Nowruz table are painted eggs – symbolizing humans and fertility. 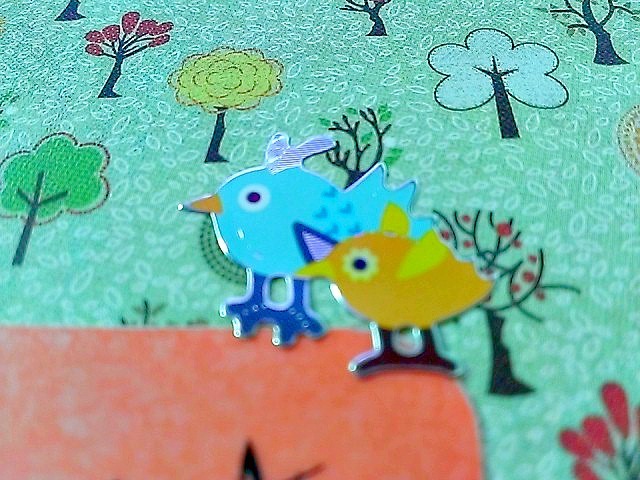 These beautiful decorated bird couple can be sent to a friend so that they can bring them luck for the New Year. And they are much cheaper to mail then a decorated egg.